Clark Gregg is reprising the role of Agent Phil Coulson for Joss Whedon's SHIELD series. Which is, of course, fantastic. But other stuff happened in Marvel news this week. I mean, none of it really matters. 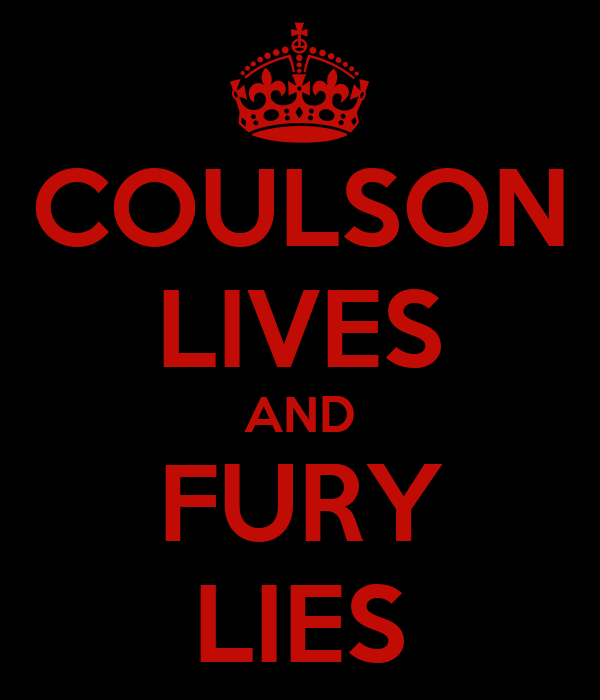 Because none of it involves Coulson. But I'll still report it. I'm not biased like that. Some big news, if you like scheduling details. Ant-man has been given a release date, which means Edgar Wright needs to get up on this thing, and fast like. Oh, don't worry, he's got time to put the touches on The World's End. Ant-man has officially been given the release date of November 6th, 2015. Which is big for two reasons. First, that is post Avengers 2, which means the chances of seeing Ant-man or Wasp in Avengers 2 probably just bottomed out. Which also means Ant-man will officially be part of Phase 3, which will also likely contain Thor and Cap trilogy enders, and who knows, Doctor Strange maybe, if he pops up in Thor 2. Black Panther? Dare we suggest a film based around one of their many female characters? It also means that Phase 3 will begin the same year as Phase 2 concludes, which also suggests Marvel will be ramping things up in Phase 3. They average 1.5 films a year now, will they be looking to push that average to a solid 2? Maybe even 2.5? Who knows, it's still half a decade away (kind of). Hit the jump to get a glimpse of the new Iron Man, find out who won't be appearing in any Marvel sequels, and find out what Thor 2 will be about. 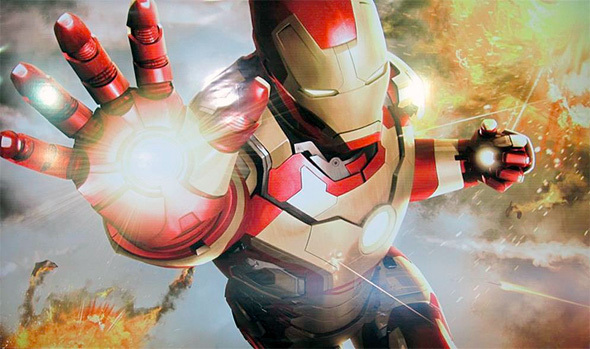 In anticipation of next week's release of the first teaser for Iron Man 3, Disney has released this teaser image of Iron Man's new suit in action. It looks... not that different from every other image of Iron Man we've seen over the past five years. I [signed a multi-picture deal] for Captain America. I think the tendency, with those films, would be to probably not bring a villain back. They might for The Avengers, but I didn’t think I’d be in Captain America 2 or 3. I don’t think Red Skull will be there. And it’s not something I would want to do again. I’m glad I did it. I did sign up for a number of pictures and I suppose, contractually, I would be obliged to, if they forced me to, but they wouldn’t want to force someone to do it, if they didn’t want to. I think I’ve done my dash with that sort of film. It was good to do it and try it out, but to be honest, it’s not the sort of film I seek out and really am excited by. As an actor, to do all sorts of different films is great. It stretches you in different ways. But, I increasingly like to go back to what I used to always do, which is to get involved with projects that I really have a personal affiliation with. I'll freely admit that at the end of Captain America, I assumed Red Skull survived, clearly being bifrosted up into the cosmos rather then melted or taken apart at the quantum level. I assumed he would eventually return, backed by alien technology, in either the Avengers or a Cap sequel. That almost exact scenario did come to pass, only with Loki as the baddie. Setting aside the rather dismissive tone Weaving's words have, I don't think we necessarily need a return from Red Skull. Plenty other terrors in the universe to plague the Marvel heroes, they would be best to avoid going back to the well too many times. Disney and Marvel have also provided an official plot description of Thor: The Dark World. It reads as such. That all sounds... pretty cool actually. I still figure that Odin's treasure room will get plundered during the course of the film, thus putting Doctor Strange's medallion, and Thanos' Infinity Gauntlet into play for later films. And I'll bet the sacrifice the copy speaks of will end up being his closing Asgard off from the rest of the cosmos to protect it, and his getting left on Earth, so he can be around for the Avengers sequel. Via /Film, and again, First Showing, and Den of Geek.